Kennedy Tile and Flooring is proud to be an authorized dealer of Shaw Carpet and Shaw Hard surface products in Peoria, Arizona and the surrounding cities. We have the lowest prices on Shaw Carpet in the Phoenix area. We have excellent certified carpet installers and a knowledgeable professional sales staff happy to help your find the perfect carpet for your home and lifestyle. 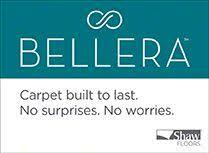 Our carpet store has hundreds of carpets on display in several styles and colors priced to fit any budget. Our showroom is located at 8643 W. Kelton Lane Suite 105 Peoria, AZ 85382. All of our carpets all marked with upfront and easy to understand installed pricing. We include a high quality 6lb 7/16 carpet pad in our installed pricing with many levels of upgrades available. Our pricing includes delivery and freight charges. We charge a reasonable fee to move furniture and encourage our customers to move their furniture themselves if they able. No high pressure sales and we offer straight forward pricing without any hidden costs or gimmicks. Please stop in to our carpet store today to view the beautiful flooring products that we offer to our customers in Phoenix Metro Area. Shaw Carpets that we have on display in our flooring showroom. Philadelphia Mainstreet- Extremely durable commercial glue down carpet and carpet tile- designed for commercial buildings where durability is the number 1 concern. We have several other Shaw carpets not listed above available for viewing and purchase with quick installation in 7- 10 business days. Depending upon product availability and our current schedule we may be able to install sooner. If you have found a Shaw Carpet at one of competitors or online, please contact us today for a price quote. We can almost always beat our competitors pricing. We are partnered with Synchrony Bank (formerly GE Capital Retail Bank), to get projects done without interfering with your household budget.